Beautiful Custom built Mediterranean home! The elegant foyer welcomes you with 17-foot ceilings and a spiral staircase. Adjacent is the inviting living room with high ceilings, large windows and a formal dining room with French doors leading to the lovely patio and gardens. The updated gourmet kitchen boasts granite counters, hardwood floors and top of the line appliances. The spacious family room opens to the lush backyard which is perfect for entertaining. This beautiful home consists of 5 spacious bedrooms, an office and 4 1/2 bathrooms. The master suite is complemented with high ceilings, a spa-inspired bathroom and a beautiful balcony. The elegant and large en-suite on the main level is perfect for the in-laws or guests. The office on the main level features large windows with plenty of sunshine. The home is situated on a on a private cul-de-sac with convenient access to the freeways. 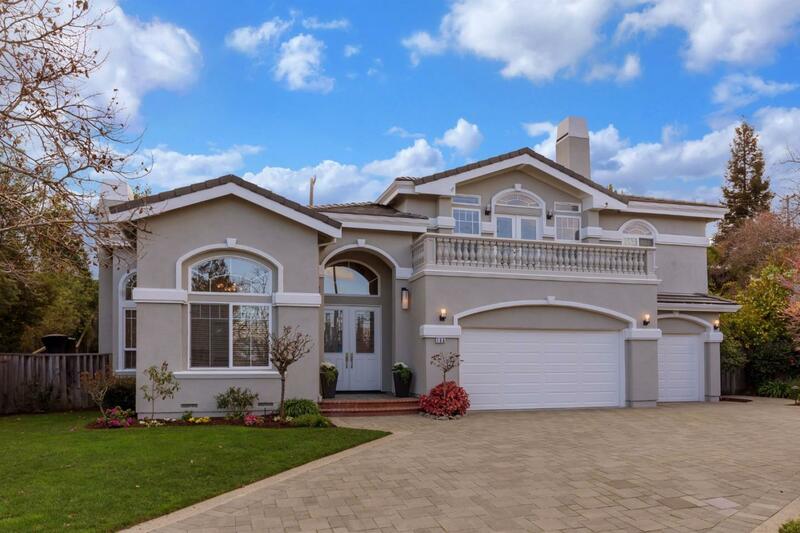 Walk to Netflix and Courtside from this immaculate home! Excellent Los Gatos Schools! !